Marcus & Millichap is pleased to present for sale this Net Leased Rite Aid located at 12 Park Drive, Hornell, New York in Steuben County, just an hours drive South of Rochester, NY and just over an hour South East of the City of Buffalo with an average household income exceeding $55,000, annually. There is no direct Walgreen’s competition in the area; the closest Walgreen’s is 25 miles away in Bath, NY. The subject property consists of 13,813 square feet that is situated on a 1.71 acre parcel of land with a full service pharmacy drive-thru window and a Rite Aid Wellness Clinic within the store. This Rite Aid benefits from the strategic location at the signalized intersection of Maple City Drive and Park Drive. There are over 7.5 years remaining on the original 20-year, Absolute-Net Lease (NNN) where the landlord has no responsibilities to the property. The offering provides a flat initial term with two percent increases in each of the four five-year option periods. 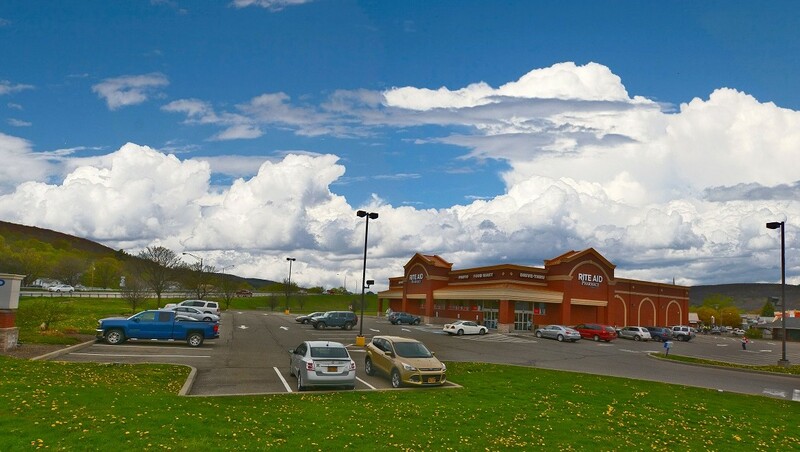 This Rite Aid is an outparcel to Hornell Railroad Center which includes retailers such as Family Dollar, Aaron’s, Save a Lot and Tractor Supply Company to name a few.